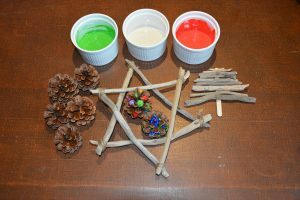 This year I wanted to do some Christmas themed crafts with my kids using some natural products in the process. We took a trip to the beach and gathered some sticks, well I gathered the sticks and the kids dug holes and tried to bury them! 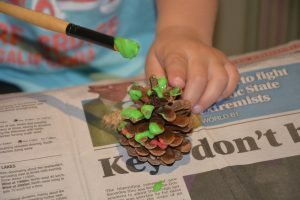 At home we found a collection of pine cones that were lovely, dry and fully open so we decided they would be great too. Paint was a prerequisite so we mixed 1/2 cup flour, 1/2 cup salt and 1/2 cup of water together. Split into 3 containers and added some red and green food colouring to two of them (very festive) and we were all set to go! 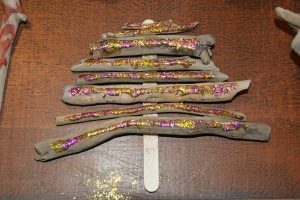 We had sticks, pine cones, paint, pom poms, pipe cleaners and glitter! 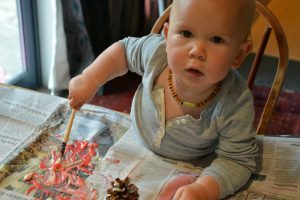 Painting pine cones was a definite favourite. The paint did take a while to dry but looked wonderful with a bit of glitter added too. 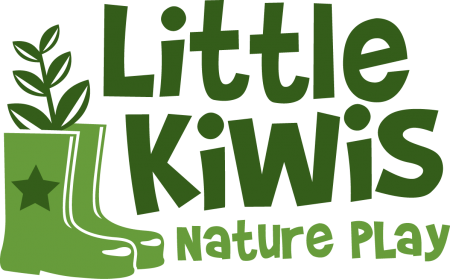 It was such a great home activity that we ran it for our local kindergarten and expanded our repertoire! 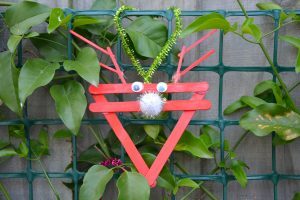 Not only did we use paint, pom poms, pipe cleaners and glitter – we had match sticks, lots of different pom poms, cotton wool and glue guns! We made pine cone Santa’s and reindeer, stick stars and of course paint and glitter pine cones! 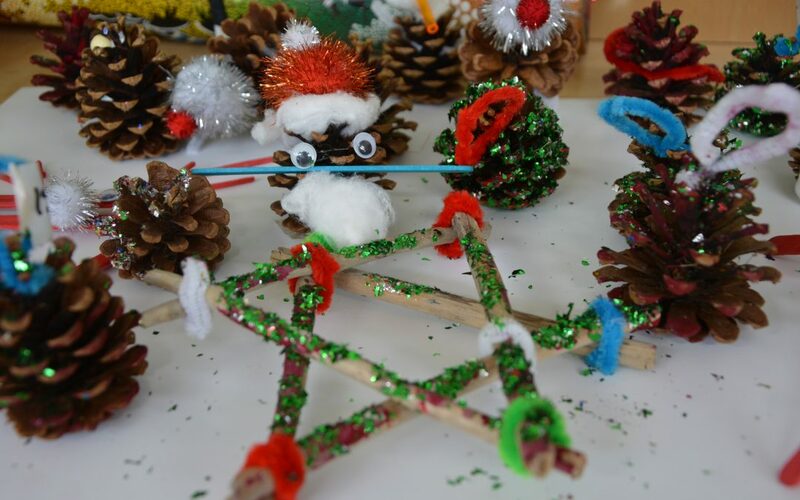 TOP TIP: Setting it up in an ECE centre we made sure we had pipe cleaners attached to the pine cones so they were ready to hang. We also had some sticky labels that we used to write names on and then fold through the pipe cleaner so it was easy to see who’s was who’s! 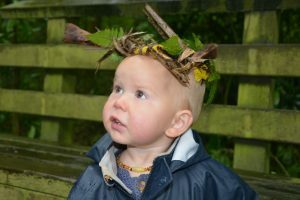 We also had a great session with Nature Play Christchurch where we made decorations from what we found at the park. 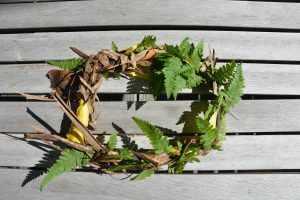 We made a lovely wreath out of cabbage tree leaves, ferns and other foliage as shown below.